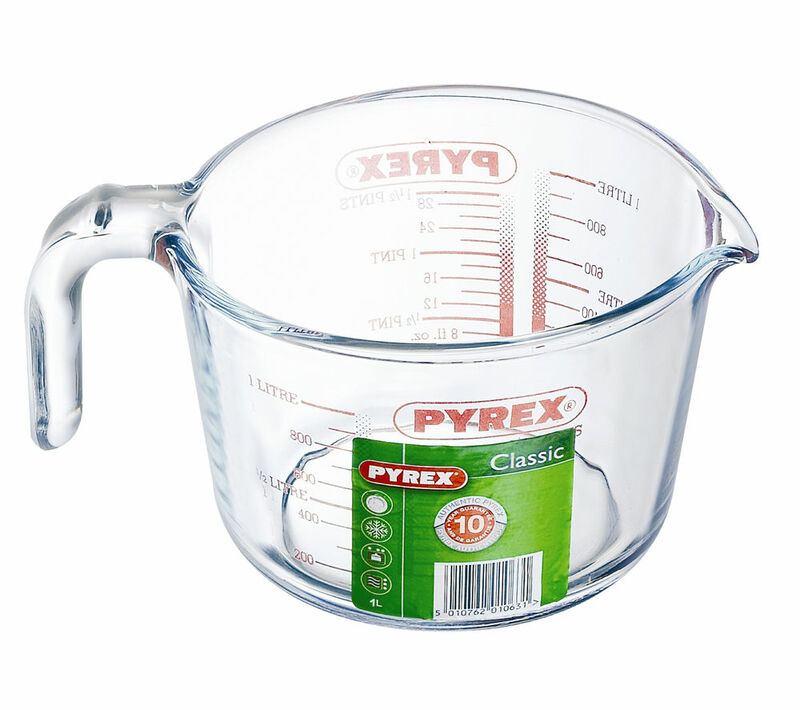 The Pyrex 1-litre Measuring Jug is made to measure for your kitchen. Letting you easily measure out and pour up to 1 litre of liquid, this measuring jug is both versatile and durable. Built from borosilicate glass, it can withstand heat of up to 300°C and is also safe for use in the freezer and dishwasher. Coming with a 10 year guarantee, make sure you use a jug that is built to last, with the Pyrex 1-litre Measuring Jug.